Lindsay A-H | Far Post Soccer Club, Inc.
Asst. Coach, 2004 & 00/01 Girls Premier Teams. Lindsay grew up in Williston and currently resides in Burlington, VT, working in the finance department at the Greater Burlington YMCA. Lindsay's passion for the beautiful game started while watching her older brother play for Far Post in 1997. She quickly fell in love with the game and joined Far Post at 7 years old. Lindsay played with Far Post for 11 years. She played on the women’s varsity team at Champlain Valley Union High School, earning the following awards; First Team All State player, First Team all Metro player, and Burlington Free Press First Team player. After high school Lindsay continued her soccer career playing at Division II Saint Michael’s College. She was the tri-captain for the spring season of her sophomore year. Lindsay began coaching for Far Post as soon as she graduated from St. Michael's in 2015. 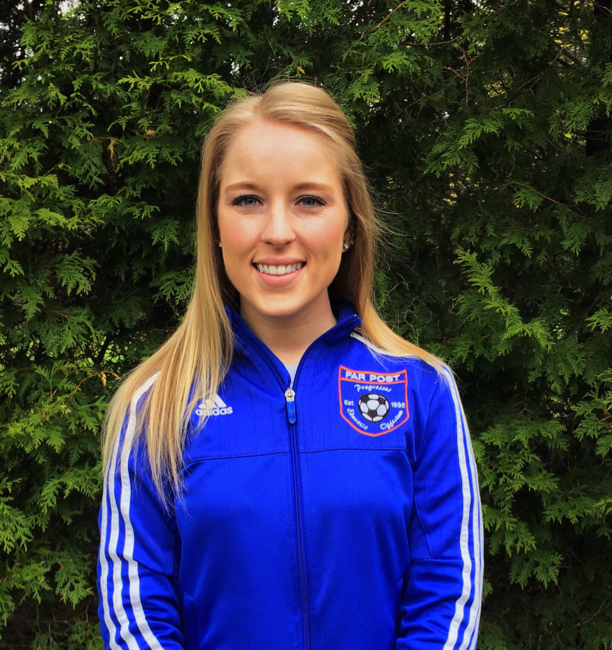 Lindsay continues her love for the beautiful game by helping youth players develop both the technical ability and sportsmanship needed to enjoy and succeed in soccer.